Injuries result from accidents every day. Many accident victims are lucky to come away with minor health issues that can be treated promptly before they move forward with their lives as they were. Unfortunately, for many other victims, an accident results in very serious injuries with complex and long-lasting consequences. One such injury is a spinal cord injury. According to the American Association of Neurological Surgeons (AANS), approximately 11,000 Americans suffer a spinal cord injury every year. These injuries can be complex, expensive, and difficult to manage. If you or someone you love has suffered a spinal cord injury, you likely need and deserve help. The serious injury lawyers at the Morris James Personal Injury Group may be able to help you pursue the justice and compensation that can help you and your family effectively address these injuries and the many associated conditions. Take a moment to fill out our online contact form to hear back from a member of our legal team and learn more about your rights and legal options. Cervical vertebrae – This section is located in the neck. Thoracic vertebrae – This section refers to the upper back, attached to the rib cage. Lumbar vertebrae – This section is in the lower back. Sacral vertebrae – The fourth section refers to the pelvis. 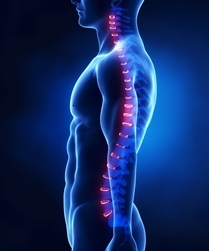 Typically, the higher on the spinal column the injury occurs, the more severe. Tetraplegia – Also known as quadriplegia, this type of paralysis affects nearly the whole body, including the arms, hands, legs, trunk, and pelvic organs. Paraplegia – This type of paralysis may affect only part of the body. Additionally, life expectancy for spinal cord injury victims is lower than the general population. According to the World Health Organization (WHO), those who suffer a spinal cord injury are two to five times more likely to die prematurely. Data from the National Spinal Cord Injury Statistical Center (NSCISC) support that claim in the U.S., and the most recent report states that mortality is highest within the first year after the initial injury. Finally, there are a number of financial considerations important to those who suffer a spinal cord injury. The NSCISC estimates that spinal cord injuries will cost victims and their families millions of dollars over the course of their life, depending on the severity of the injury. The Centers for Disease Control and Prevention (CDC) estimates that spinal cord injuries cost the U.S. about $9.7 billion a year. These costs include a wide variety of needs for the injured victims, which can include surgery, medication, rehabilitation, adaptive equipment, therapy, nursing care, and more. Many spinal cord injury victims become dependent on caregivers to perform what were once simple daily tasks. For families, this can often mean hiring in-home care or dedicating family members to the care of the injury victim. In both situations, there are costs associated with this care—to pay a caregiver or the loss of income that can occur when a family member stays at home to assist the injured victim. The victim is typically unable to work after the accident, which can leave families struggling to keep up with mounting bills. If you or someone you love has suffered a spinal cord injury due to someone else’s carelessness, there are many important physical, emotional, and financial considerations to be made. You don’t have to figure out what to do alone. The serious injury attorneys at the Morris James Personal Injury Group are here to help individuals and families throughout Delaware obtain the compensation that can ensure your loved ones get the support they both need and deserve. Call our office nearest you today to learn more about your options and what kinds of compensation may be available to you.